Since the first Sunrise community opened in 1981, team members have served our residents through Sunrise's Principles of Service: encouraging independence, enabling freedom of choice, preserving dignity, celebrating individuality, nurturing the spirit and involving family and friends. All Sunrise team members are trained and empowered to provide services and care in a manner that supports these principles and furthers the Sunrise mission to champion quality of life for all seniors. At Sunrise, we are passionate about our mission – to champion quality of life for all seniors. We believe real happiness and joy come from serving others. We take pride in delivering high-quality care with a personal touch. "Community" has a special meaning at Sunrise. 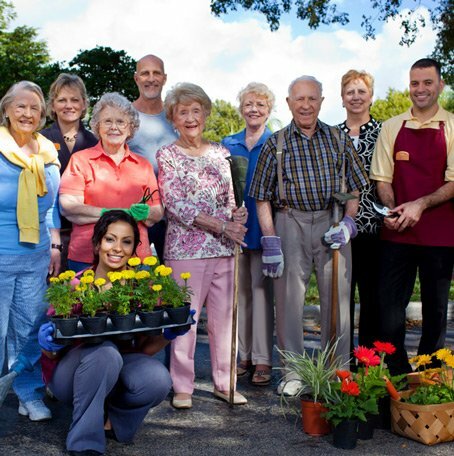 The care-focused environment we create for residents extends to our team members. Our team-members' health and well-being is important to us. We invest in a variety of benefits and other rewards to help you live your best. We are a close-knit team who support and encourage one another and celebrate our successes. At Sunrise, we believe potential has no limits. We provide a wide range of learning opportunities to help team members perform their best in their current roles and offer best-in-class leadership development programs designed to grow our future leaders.